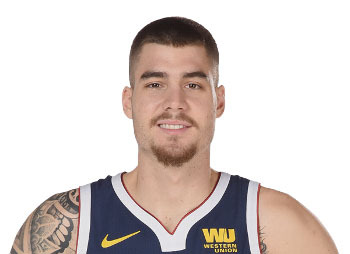 (Field Level Media) Juan Hernangomez came off the bench to score 23 points and Paul Millsap had 16 points and six rebounds as the Denver Nuggets overcame a slugging first quarter to beat the host Cleveland Cavaliers 110-91 last night. Denver was coming of a thrilling overtime win in Chicago on Wednesday. Millsap put back Jokic’s jumper with 0.1 seconds left for a 108-107 victory, and the hangover of that game was evident early. The Nuggets trailed by 12 at the end of the first quarter but took control with a big second period. Larry Nance Jr. hit two free throws early in the quarter to make it 29-17, but Denver came storming back. Hernangomez hit two 3-pointers and Malik Beasley had another during a 15-4 run in a span of 3:23 to pull the Nuggets within 33-32. Later in the period Hernangomez hit a free throw and another from long range to start 13-0 run that gave Denver a 47-38 lead. The Nuggets outscored the Cavaliers 35-15 in the second to take a 50-42 halftime lead. Hernangomez hit a season-high five 3-pointers, and his 23 points were also his best for the season. Denver started to pull away in the third quarter. The Nuggets opened a 66-52 lead on Harris’ 14-foot jumper, and after Rodney Hood hit two free throws, Monte Morris, Torrey Craig and Harris hit 3-pointers to push the lead to 83-66 heading into the fourth. Cleveland hit the first basket of the final 12 minutes but Denver put it away with a 14-4 —run.